This week the archives have been under investigation to reveal Ford’s long standing relationship with Britain’s police force. For several decades Ford vehicles have been a favourite of the UK’s emergency services. 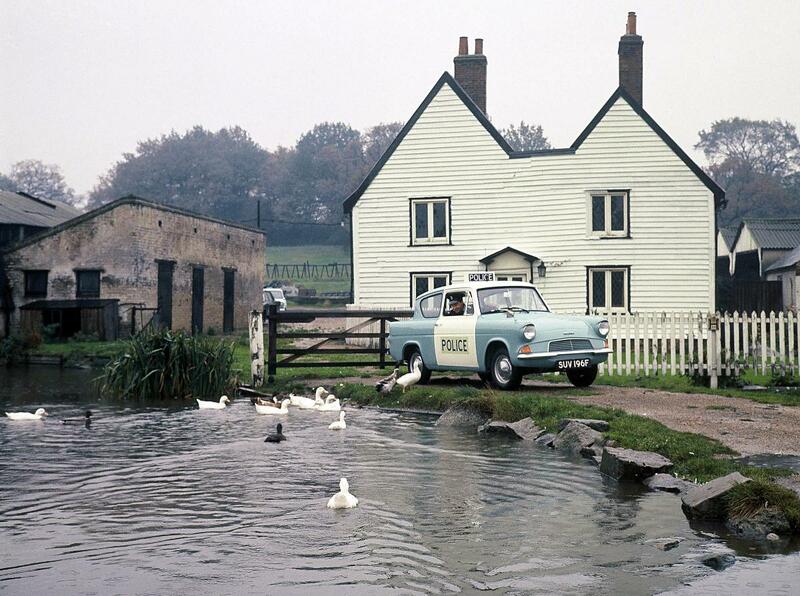 ‘Bobbies’ could regularly be seen patrolling local villages in sky-blue Ford Anglias, with iconic white doors, as commonly seen in the popular 1960s television programme, Heartbeat. The Ford Anglia 105E was notably famous for its overhead valve engine and long gearing, which anticipated the opening of Britain’s major new motorways the M1 and M6 in the early 1960s. This Ford sold more than one million units since its debut at the Earls Court motorshow in 1959. Available as a saloon or an estate car, the Anglia was on sale for eight years until 1967. Today, Ford vehicles still play a leading role in Britain’s emergency services with cars ranging from the Ford Fiesta to the Ford Mondeo and Ford Transit van.